Sean Rafferty with a lively mix of chat, arts news and live performance. 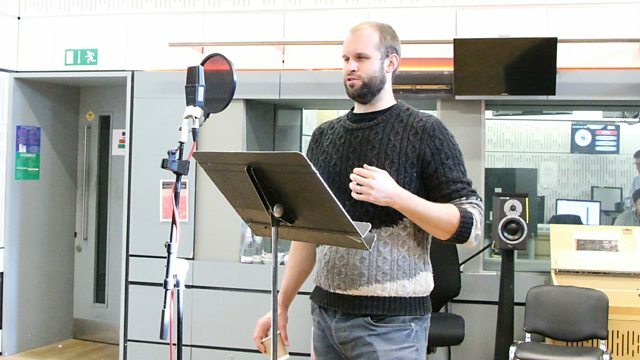 Sean's guests include bass-baritone Ashley Riches, who sings live in the studio ahead of taking up the role of the Count in English National Opera's production of Figaro at the London Coliseum. Do opera houses have a duty to protect musicians' hearing? Performer: Ashley Riches. Performer: Chris Hopkins. Orchestra: Orchestra of the Royal Opera House, Covent Garden. Conductor: Richard Bonynge. Singer: Ashley Riches. Orchestra: Classical Opera Company. Conductor: Ian Page. Music Arranger: Evelyn Glennie. Orchestrator: Christopher Palmer. Performer: Evelyn Glennie. Orchestra: National Philharmonic Orchestra. Conductor: Barry Wordsworth. Performer: David Owen Norris. Music Arranger: Roger Quilter. Singer: David Wilson‐Johnson.